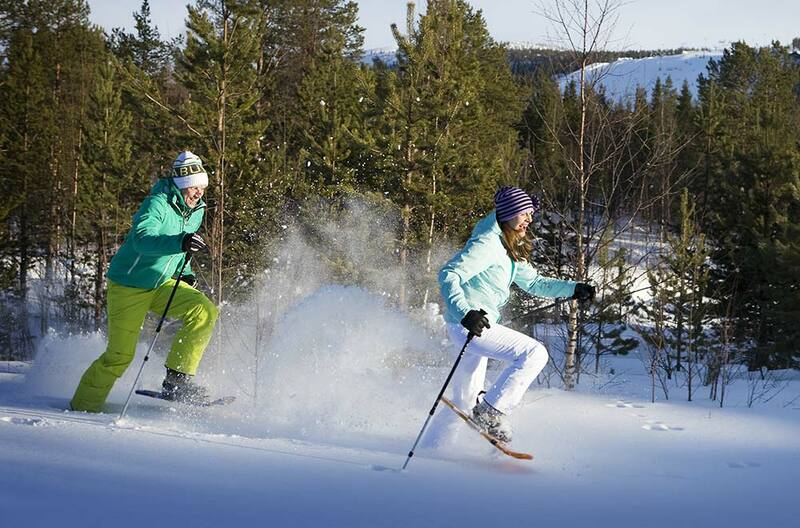 40 km North of Kolari, in the center of Äkäslompolo village. 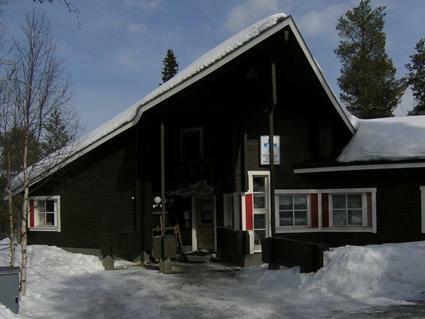 A characterful holiday apartment in the same building as Medical Centre MediYlläs Ltd ( common entrance). 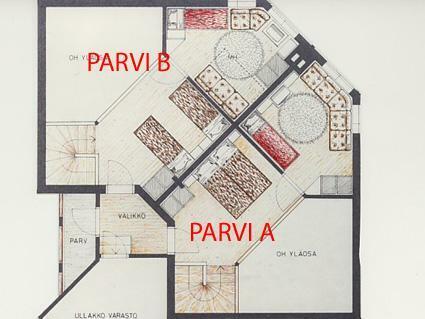 Apartment is on three levels, build 1987. Downstairs with bedroom with own entrance, double bed, kitchenette, shower/toilet. On the same floor also sauna, bathroom/toilet, dressing room. 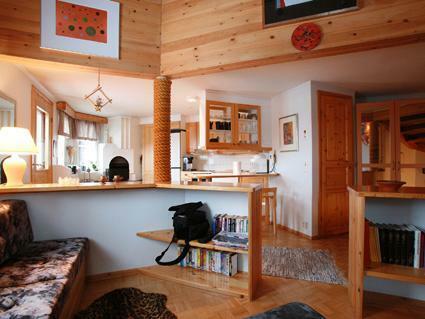 On the middle floor livingroom, kitchen and toilet. On upstairs one bedroom with 2 bunk bed, and hall with 2 separate beds. 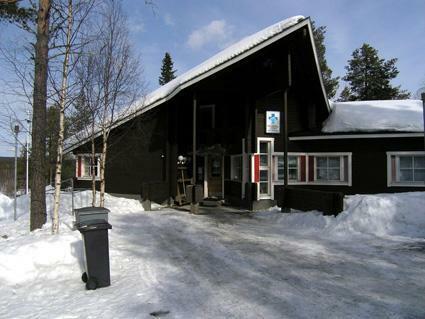 A holiday apartment in the Äkäslompolo village center near the services. 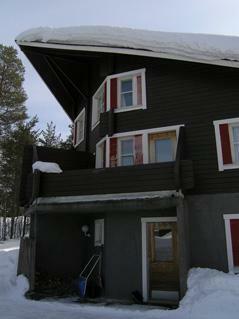 The apartment is located near skiing tracks and Äkäshotel. No pets allowed. Prices include final cleaning. Bed linen are available for rent.